For some reason I decided I had to have a story where my sleuthing couple are at a cricket match and the batter gets “beaned” by the ball. Only it’s not a ball, it’s a meteorite. No prob! Of course, I know nothing about cricket or meteors either! But that’s what Google is for. And when Google fails, I ask my Facebook friends, who give me good info. Then someone within my husband’s wide acquaintance can always step up. (He knows all sorts of interesting people because he’s been the program chair of Scientech, a lifelong-education organization composed muchly of retired engineers and physicians. But I persevere. It’s not a problem, it’s an opportunity! I realized I needed to write around these inconvenient research facts. First, of course, I turned to the higher source, Jeff’s buddy the astronomer. He gave more inconvenient information, but the facts were more nuanced, a lot of “it depends.” And I could work around by manipulating the options “it depends” gave me. So while it will cause some adjustments in the sequence, it’s still all feasible. Of course, plausibility is still an issue, but really, this would be a one-in-a-billion event in the best of situations. People really don’t get hit by meteors very often! But they COULD be– if it’s ever happened, it can happen again, right? And fiction is about the unusual, right? That’s why we get to make it up. So my cricket-playing youth turns out to be the THIRD person ever to be hit by a meteorite. Talk about wrong place/wrong time. What’s fun is to work the scene around those requirements. I don’t want the meteorite to hit the kid on the top of the head (perpendicular descent), but I could have it hit something else first and ricochet. So I can have that something be a tree, which it splits or breaks. That impact would diminish the velocity to a less lethal level and could also change the trajectory, so it’s now moving horizontally and could just glance off the youth’s temple rather than, you know, obliterating him. As for the super-heatedness, also a obstacle/opportunity! I’d planned to have Natasha send the children to look for the object that hit the tree and kid, and her niece was going to bring it back. But now I’m going to have Dorie try to pick it up and cry out because it’s still hot (I can make it be about 20 minutes after the impact), and Natasha will then have to join her and pick it up with her glove and maybe some leaves from the broken tree. That makes for more character interaction with each other and the object, and also that little minor bit of conflict that makes a scene more fun to read. 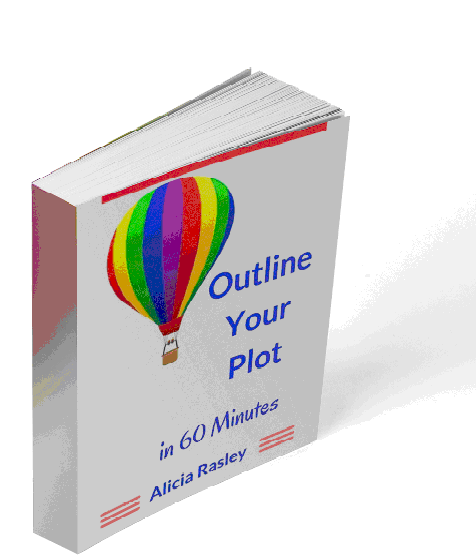 Research Obstacle = Plot Opportunity. 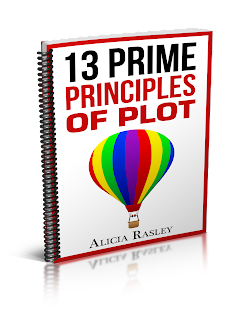 Hey, sign up here and you can get instant access to my new e-book, 13 Prime Principles of Plot.